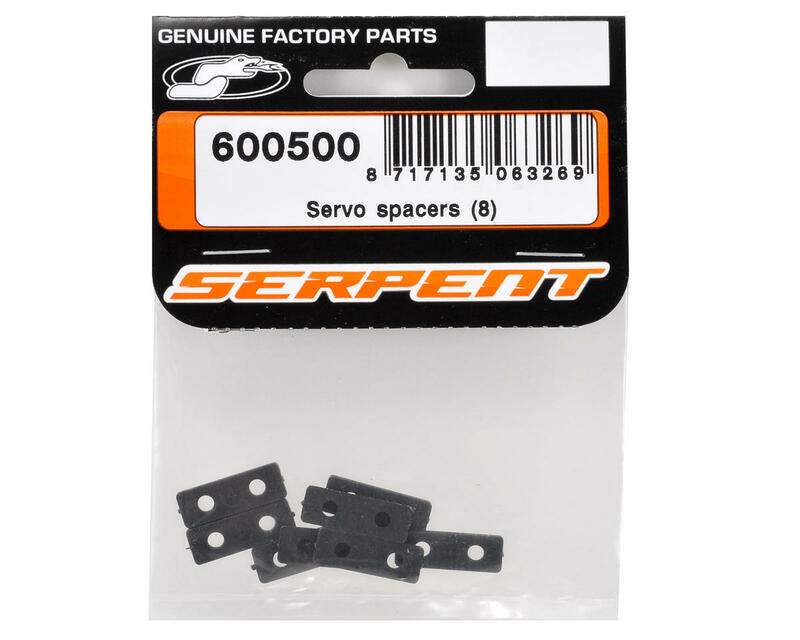 This is a replacement Serpent Servo Spacer Set, and is intended for use with the Serpent S811-E Cobra 1/8 buggy. These spacers are used to move the servo away from the radio box, so the servo lever clears the radio box. 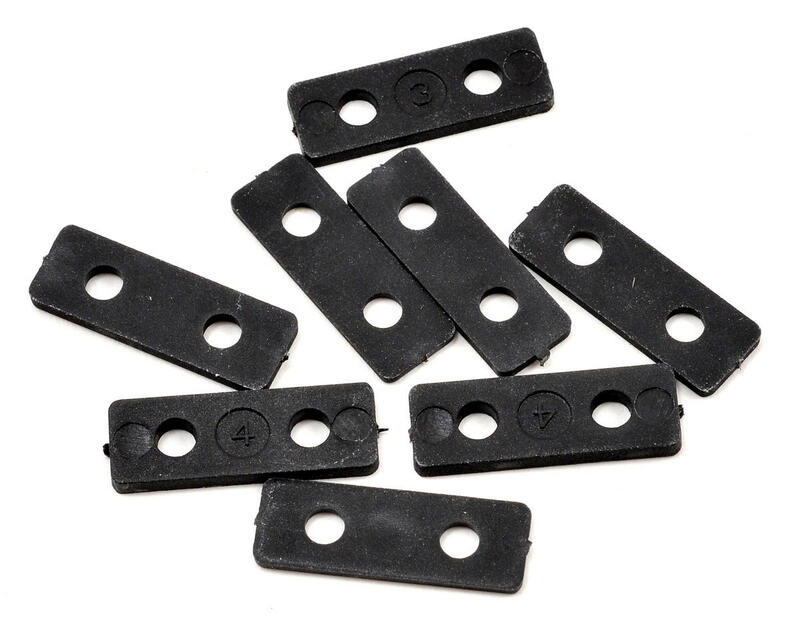 This package includes eight spacers, two #1, two #2, two #3 and two #4 spacers.